(Ephesians 3:20-21) 20 Now all glory to God, who is able, through his mighty power at work within us, to accomplish infinitely more than we might ask or think. 21 Glory to Him in the church and in Christ Jesus through all generations forever and ever! Amen. MISSION ACTION FOR MARCHOur Mission Action Project for the month of March is for Hospice of the Upstate. They can use: Saltine Crackers, Small and Large Styrofoam Bowls, Small Paper Plates, Plastic Spoons, Paper Towels, Coffee (Not Instant), Individual Fruit Cups, Individual Jell-O, and Individual Applesauce. Please leave in the Bible Study Office. Why Should I Attend Additional Worship Serivces and Bible Studies at HPBC? One of the greatest features of a 3D movie is the sensation that you can reach out and touch the objects that are thrown at you. You become immersed in its story. Have you ever wondered why you should consider attending some of our other worship service times? By attending additional services you can get a three dimensional approach to Bible Study. Here is what I mean. Sunday Mornings: Our Purpose Is Evangelism: Worship and Sermons are intentionally designed to reach people at all spiritual levels. This is what we call the “front door” to our church. The primary focus is Jesus, His Gospel Story and His call for us to live our lives for Him. Churches in our Saluda Baptist Association are offering some great training at no charge to you or the church. If we are not learning we are dying. 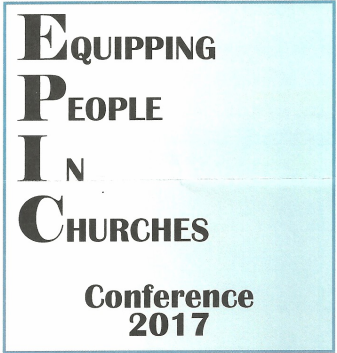 I plan on being a part of this great conference and it is my prayer that some of you might find and area you are interested in and consider attending. Registration info is below. Call (864) 225-7759 by February 20 to register.